HB130 would allow certified researchers to obtain, administer cannabinoid products in study settings. Steve Griffin | The Salt Lake Tribune Rep. Brad Daw, R-Orem talks with the Senate Health and Human Services Standing Committee about HB130 during meeting at the State Capitol in Salt Lake City Thursday February 16, 2017. HB130 would enact provisions related to research of cannabis and cannabinoid products. Steve Griffin | The Salt Lake Tribune Gabrielle Saunders, speaking as a concerned citizen, talks in favor of HB130 during the Senate Health and Human Services Standing Committee meeting at the State Capitol in Salt Lake City Thursday February 16, 2017. HB130 would enact provisions related to research of cannabis and cannabinoid products. 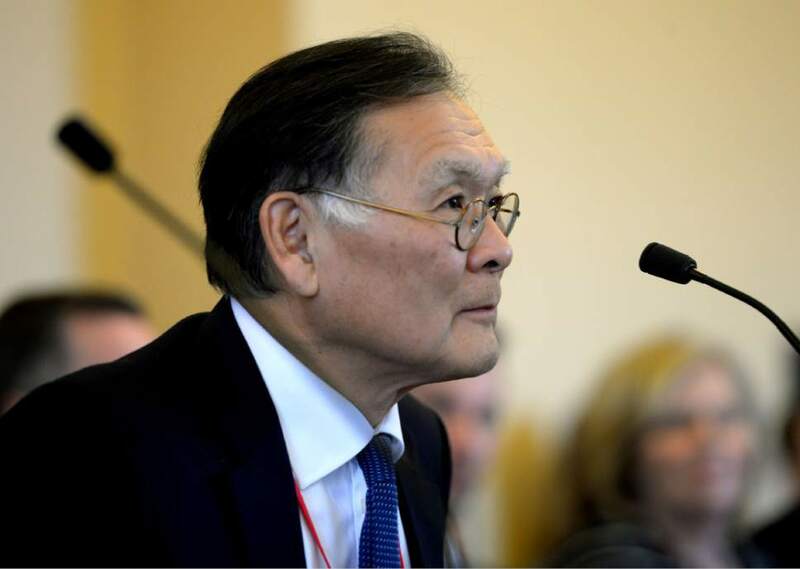 Steve Griffin | The Salt Lake Tribune Sen. Brian E. Shiozawa, R-Salt Lake City smiles as SB219 is recommended to the Consent Calendar during the Senate Health and Human Services Standing Committee meeting at the State Capitol in Salt Lake City Thursday February 16, 2017. SB219 provides a schedule in the state Controlled Substances Act for cannabidiol in a drug product approved by the United States Food and Drug Administration. Steve Griffin | The Salt Lake Tribune Michelle McOmber, CEO of the Utah Medical Association, talks in favor of HB130 during the Senate Health and Human Services Standing Committee meeting at the State Capitol in Salt Lake City Thursday February 16, 2017. HB130 would enact provisions related to research of cannabis and cannabinoid products. 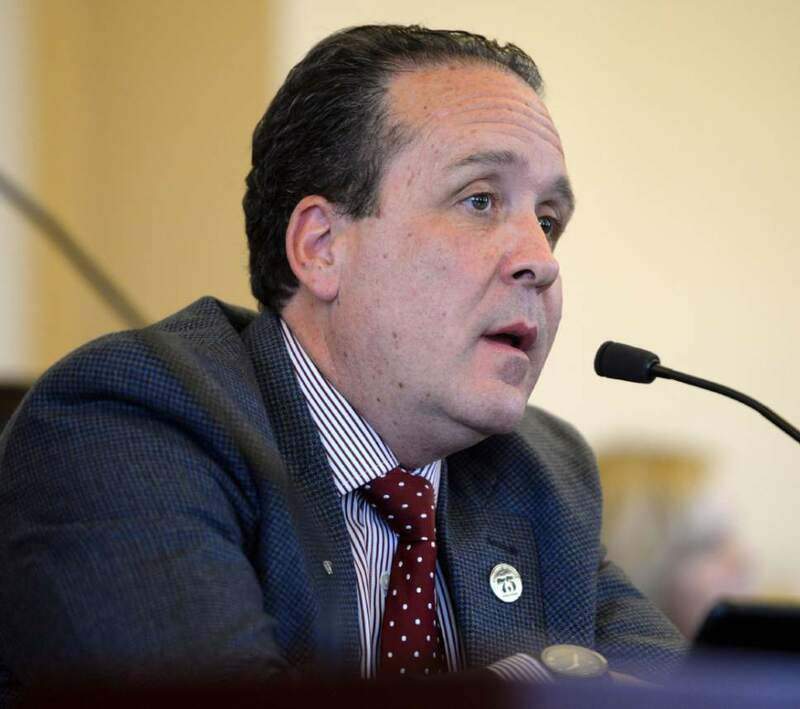 Democratic Sen. Jim Dabakis called a proposal to allow expanded medical marijuana research in the state a "trojan horse" meant to placate suffering Utahns. "This is a hoax bill so people will think we&apos;re doing something," said Dabakis, from Salt Lake City. But Dabakis was alone in his dissent Thursday when the Senate Health and Human Services Committee approved the measure, sponsored by Rep. Brad Daw, R-Orem, who has repeatedly said the state needs to determine what constitutes medicine through science and research, not legislative or initiative-led mandates. HB130 would let researchers who conduct institutional review board-approved studies possess and administer cannabinoid products to study participants, as well as import cannabis and related products from other states for study use as long as the materials comply with federal law and are obtained from the National Institute on Drug Abuse. In January, Utah lawmakers announced they would not consider legalizing medical marijuana this year given the uncertainty of whether President Donald Trump&apos;s administration will enforce federal marijuana laws. Instead, they said they would push bills, including HB130, to fund research into marijuana&apos;s potential benefits. As of January, 28 states and Washington, D.C., have legalized medical marijuana in some way, according to the National Conference of State Legislatures. State lawmakers tried to legalize medical marijuana last year with two dueling bills, but a compromise proposal failed in the session&apos;s final hours when lawmakers discovered there was no money to implement the program. Lawmakers did, however, pass a law in 2014 that allows Utahns with severe epilepsy to import whole-plant cannabidiol extracts from states where medical marijuana is legal. Gabrielle Saunders spoke in favor of Daw&apos;s measure Thursday, saying that it was a "step in the right direction" toward medical marijuana. Medical marijuana, Saunders said, "is something in Utah that is necessary, but at the end of the day there are still a lot of questions to be asked. There are still a lot of people that are unsure." 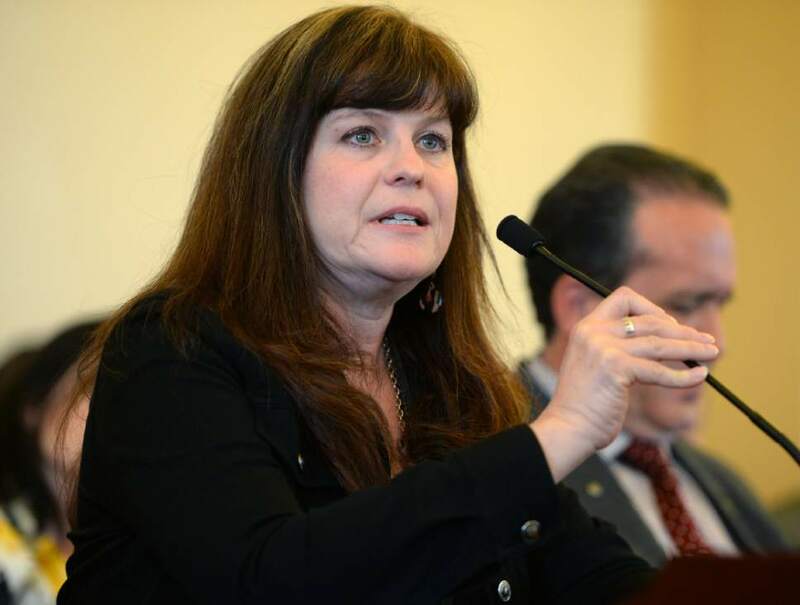 Michelle McOmber, CEO of the Utah Medical Association, voiced support for research, saying marijuana is not yet ready for medical use. "Until physicians know what dose to give, the efficacy for what illnesses, what patients to prescribe it to," McOmber said, it&apos;s not medicine. "We don&apos;t have that information and we need that information." Daw&apos;s measure also would establish a Cannabinoid Product Board, which would evaluate the safety and efficacy of these products and develop guidelines for physicians recommending treatment. The board would have to report its findings to legislators each year. The Senate Health and Human Services Committee also unanimously approved SB219 Thursday, which would allow for the prescribing of cannabidiol once approved by the Food and Drug Administration. 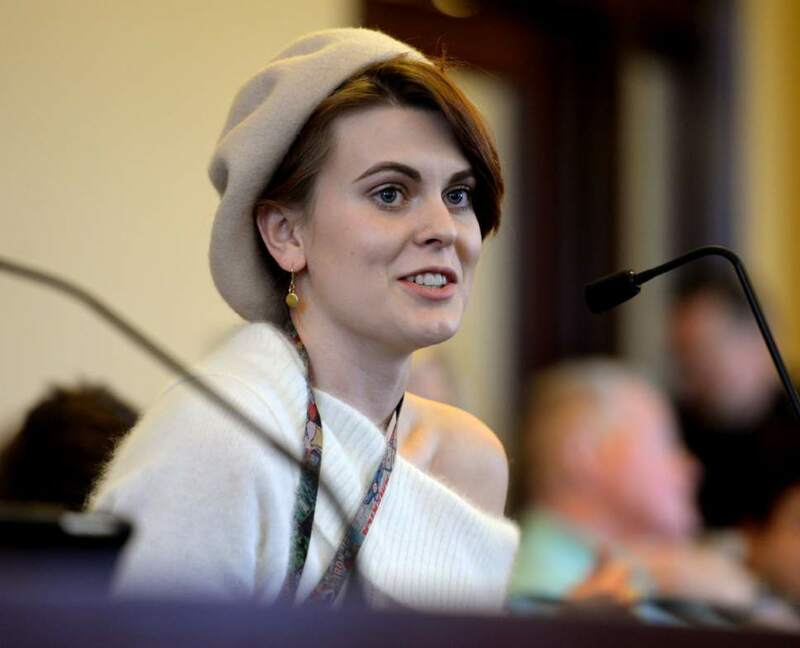 Margo Thurman, executive director of the Epilepsy Foundation of Utah, said Thursday the measure would ensure patients in Utah get access to the medications as soon as they become available. Though therapies derived from cannabidiol won&apos;t help all individuals with epilesy, she said, "if and when [the therapies] are approved, they will be safe and effective for some."